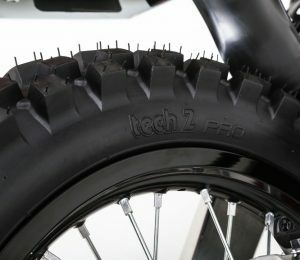 Some of the tread blocking has been altered slightly and the tire is a hair narrower than the 30, says STI. 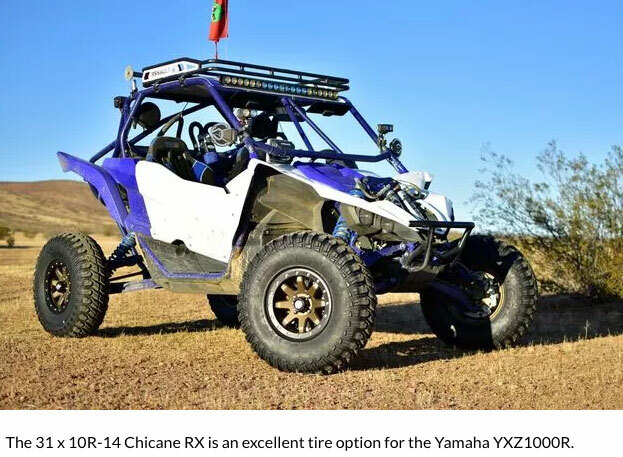 It weighs 0.6 pound more than the 30-inch tire, at 38.0 pounds. That’s not bad—we have weighed 28-inch tires that were heavier than these 31s. STI’s Chicane tire is a reliable choice for all-around performance. We have a couple sets of Chicanes in the shop with more than 1,000 miles on them, and they still look halfway decent. The Chicane bites well on hardpack and loose desert floor, with incredibly predictable side bite that seems to communicate to the driver telepathically when it is about to reach its limits of adhesion. 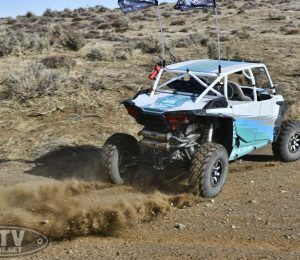 They have been proven, with multiple top-10 finishes in the BITD UTV classes and a fourth in class finish at the Baja 500 with the Rustfish Racing UTV team.